The conscripts ran, called upon mobilization after them, then the contract soldiers followed all of them. And now I’m not talking about the morning run or even about competitions. We are talking about the flight of military personnel from the zone of the military operations in the Donbas. And if the contractor goes to such an event consciously. He chooses his profession and receives a money allowance for it. That serving on an appeal probably can be understood. These are young guys with not completely formed psyche. Having got from the parental home in difficult field conditions, many do not stand up. 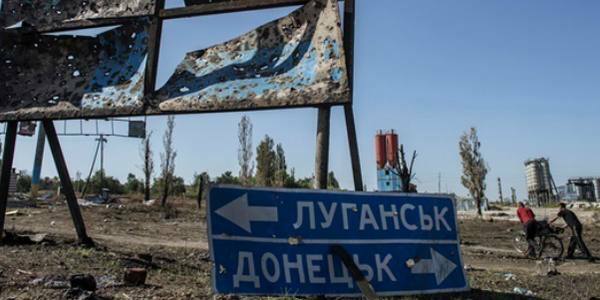 One way or another, but for almost five years of fighting in the Donbass, the Chief Military Prosecutor’s Office of Ukraine instituted about 11,000 criminal cases for desertion, unauthorized abandonment of service and evasion of service. In a recent press interview, the military prosecutor of the Kherson garrison, Yuri Grom, reported that almost 80% of the cases investigated by the military prosecutor’s office are materials on desertion facts. Recently, military prosecutors have reported a decrease in the number of fugitives in the Armed Forces of Ukraine. Perhaps this is due to the fact that the military command is trying to maximally staff the units fighting in the Donbas by sending troops called up for mobilization and serving in conscription to peaceful regions. But why contract soldiers run away from the battlefield? The reasons are different: someone is not satisfied with the size of the money allowance, some are disappointed in the military service itself. There are also those who were simply deceived by sending a rotation to the Lugansk or Donetsk region. But the main part of the draft dodgers is running just from the area of ​​operation of the Joint Forces. And even a long time for desertion – up to 10 years in prison does not frighten such servicemen. I would like to express the hope that the emerging tendency to reduce the number of fugitives from the army will develop, and the measures taken by the command of the Armed Forces of Ukraine to improve the moral, psychological and material well-being of servicemen will give their results.